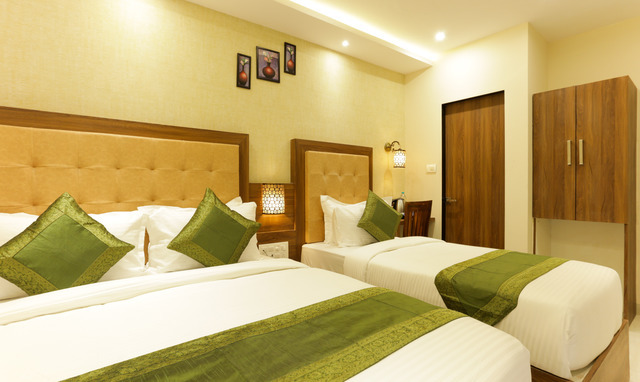 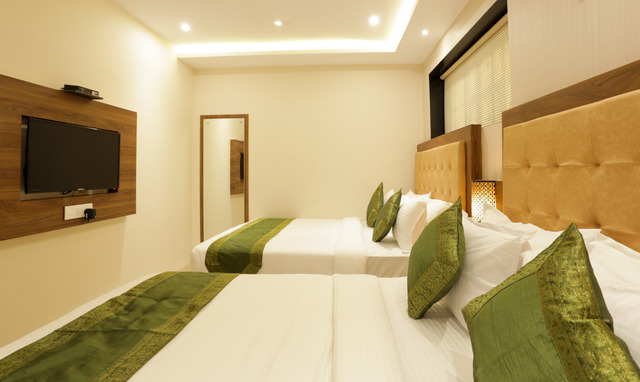 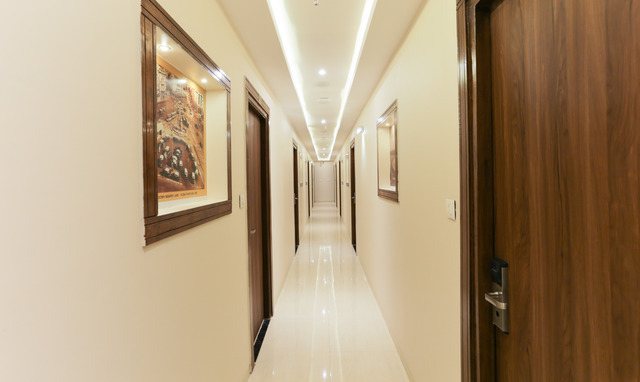 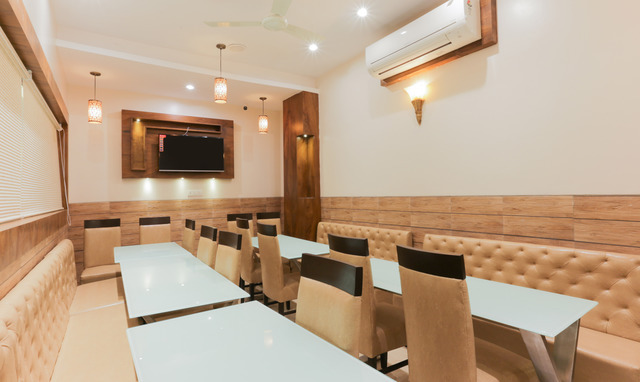 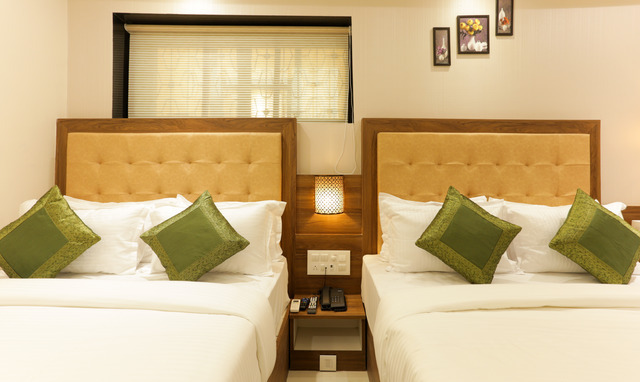 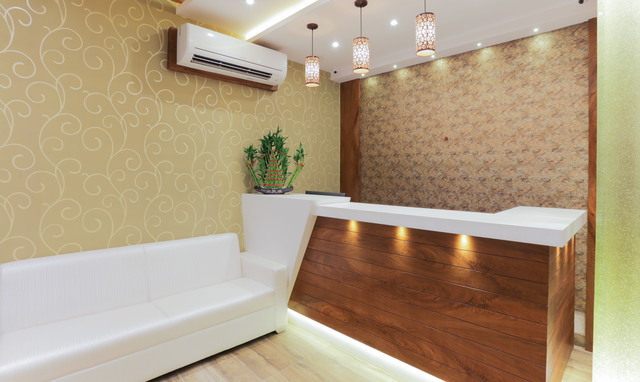 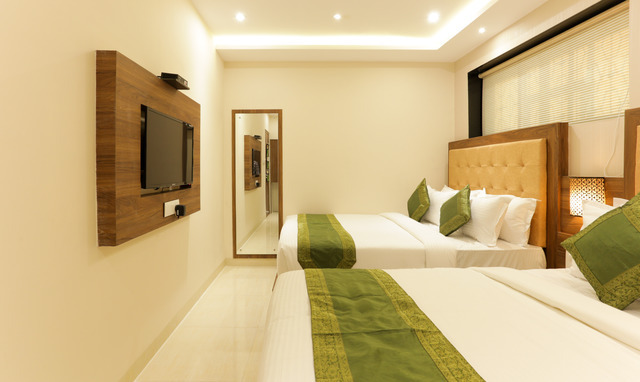 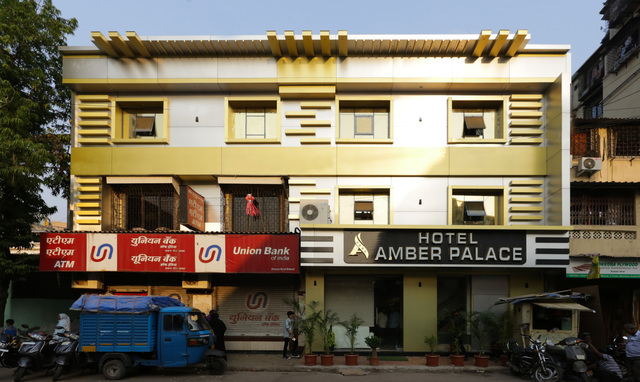 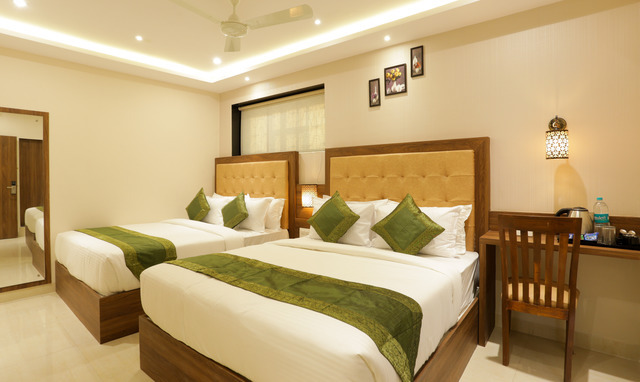 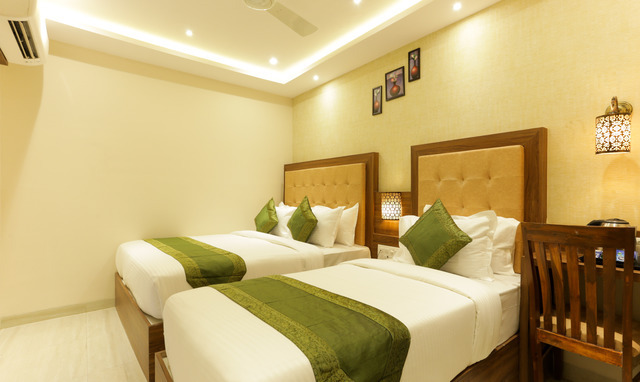 Promising quality and economical accommodation, Treebo Amber Palace in Mumbai is an ideal choice for families, young singles, foreigners and businesspersons. 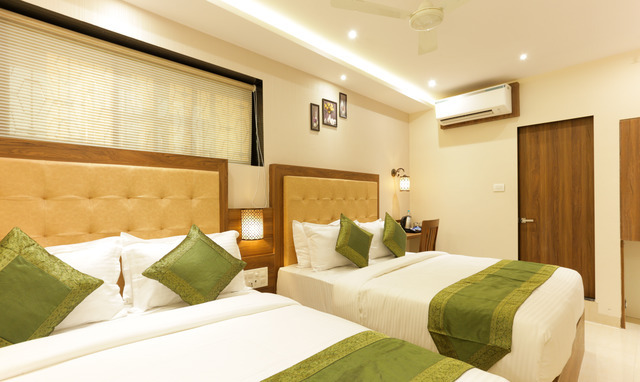 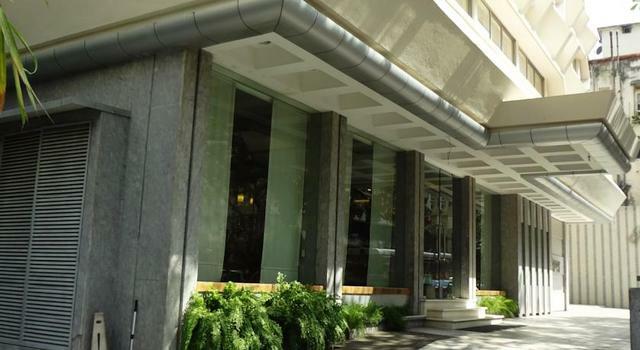 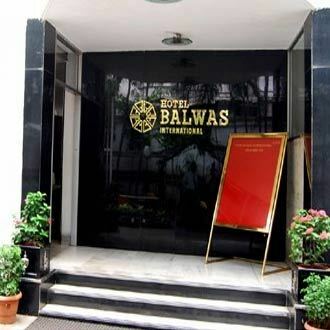 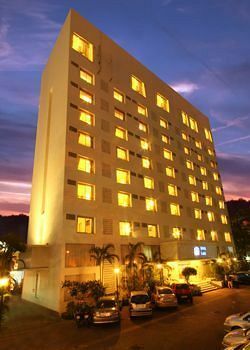 Off Maulana Azad Road/Duncan Road, this hotel is rather easy to reach as Mumbai Central Agar Bus Stand is just a kilometre away. 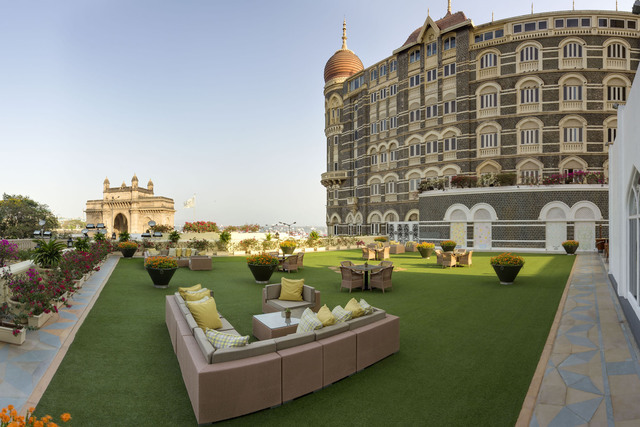 Chhatrapati Shivaji International Airport is around 18 km away while both Grant Road Local Train Station and Mumbai Central Railway Station are less than 2 km from Treebo Amber Palace. 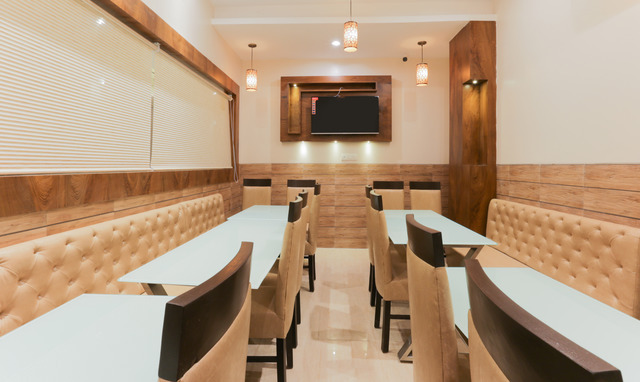 Complimentary vegetarian buffet breakfast (Maharashtrian and South Indian options to choose from), free WiFi and branded toiletries are provided to guests when they put up at Treebo Amber Palace. 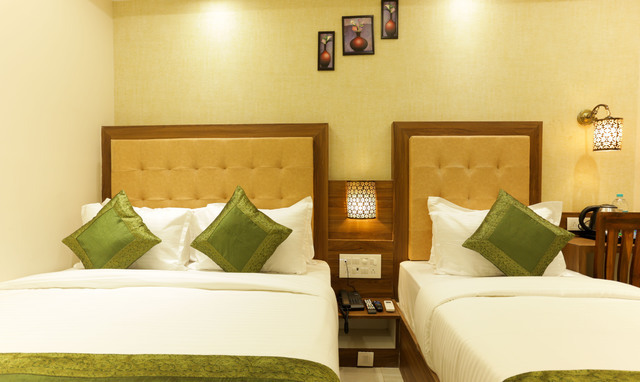 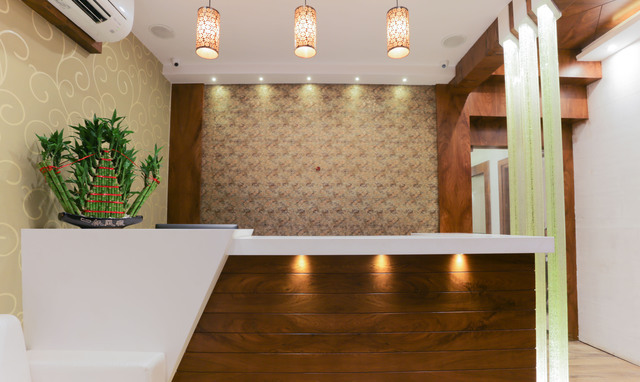 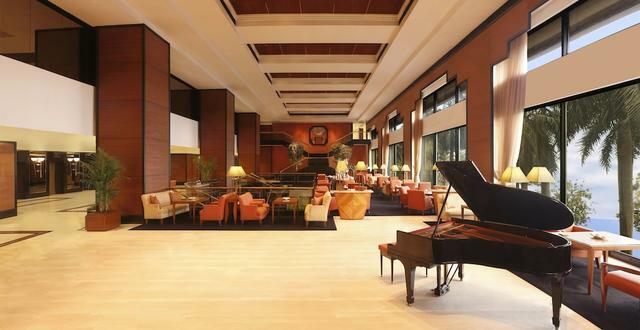 The 40 rooms provided by this hotel are categorised as Oak (Standard), Maple (Deluxe) and Mahogany (Premium). 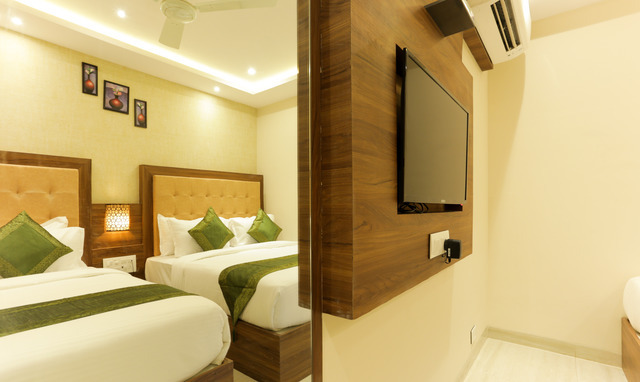 These rooms come with amenities like air-conditioning, a TV with cable/DTH connection, intercom facility, wardrobes, a study table and chair, clean and comfortable beds, a hot water kettle with provisions for making tea and coffee, and an attached bathroom that provides hot water. 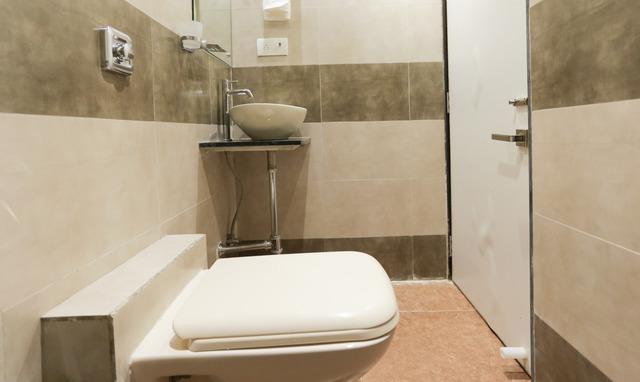 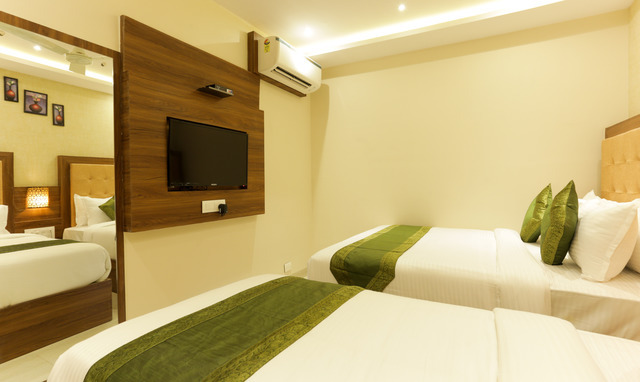 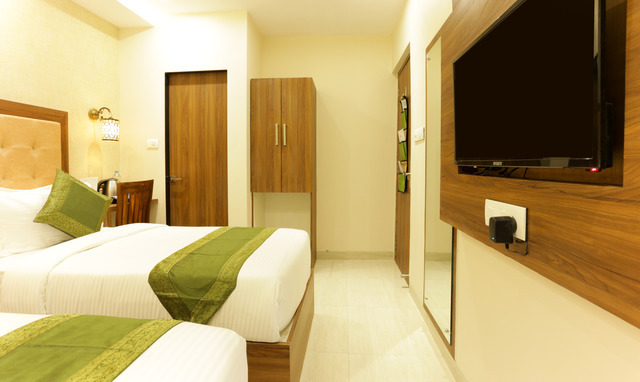 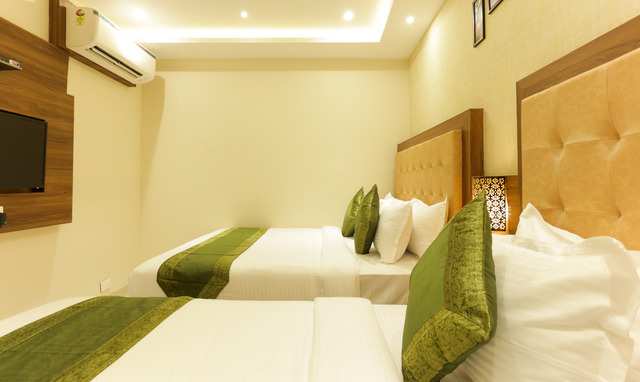 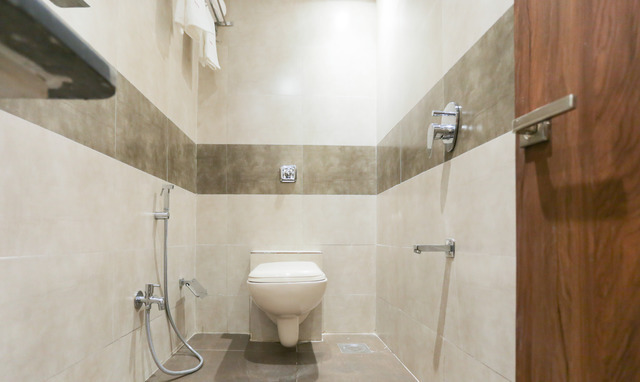 An elevator for easy access, outsourced laundry facility on a chargeable basis, room service and room service are facilities offered by this hotel. 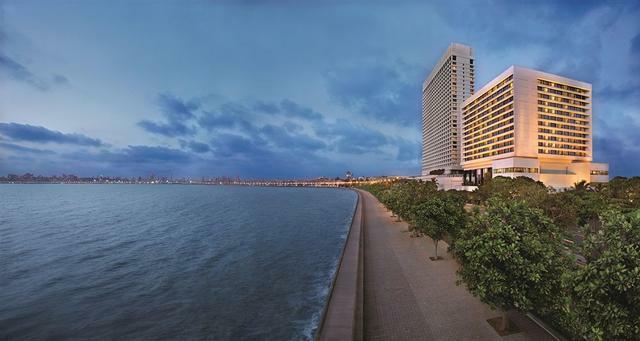 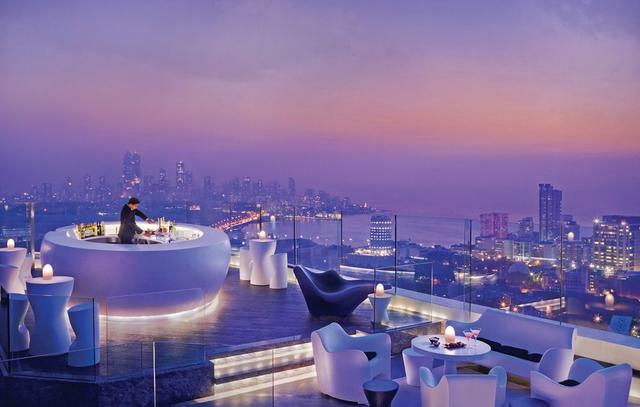 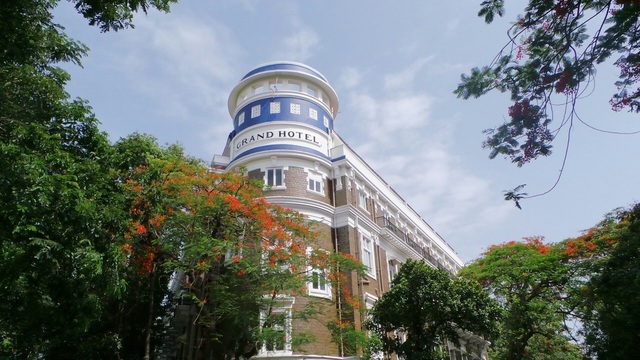 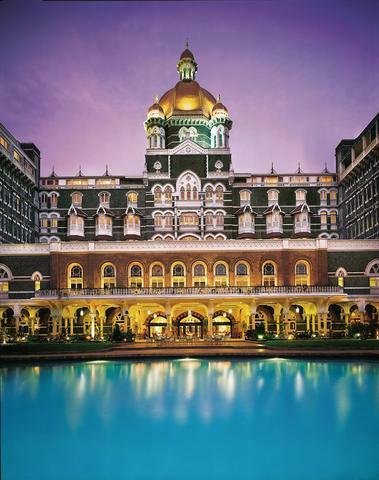 Girgaon Chowpatty, Marine Drive, Haji Ali Dargah, Kamla Nehru Park, ISKCON Temple, Gateway of India, Colaba Causeway, Hanging Garden, Nehru Planetarium, Nehru Science Centre, Bandra and Worli Sea Link are popular tourist attractions within 10 km of this hotel and ought to be part of your Mumbai travel itinerary. 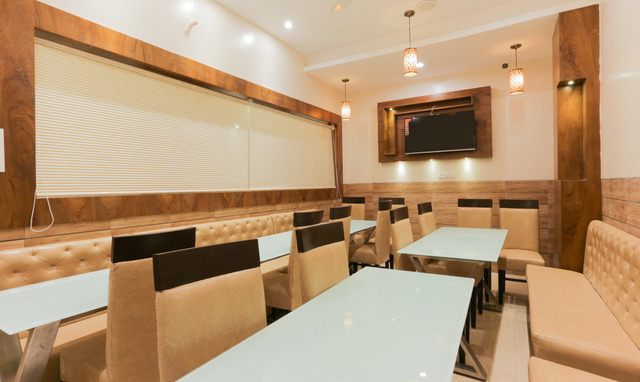 Bombay Burgers, Kings Shawarma, Prince Shawarma, Janata Tawa and Grill, Al Rehmani Restaurant, Al Baik Fast Food, Hamza Fast Food and Mughlai Kitchen are popular restaurants close to Treebo Amber Palace and promise to keep your hunger at bay. 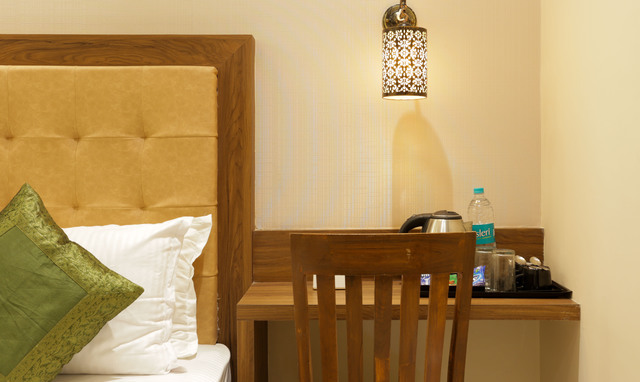 Planning a day of shopping? 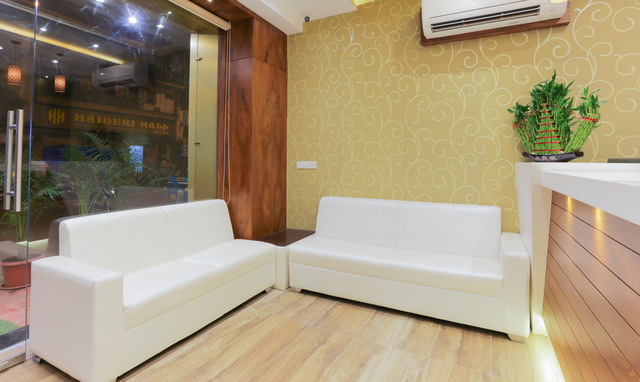 Sobo Central and Atria The Millennium Mall are within 5 km of this property. 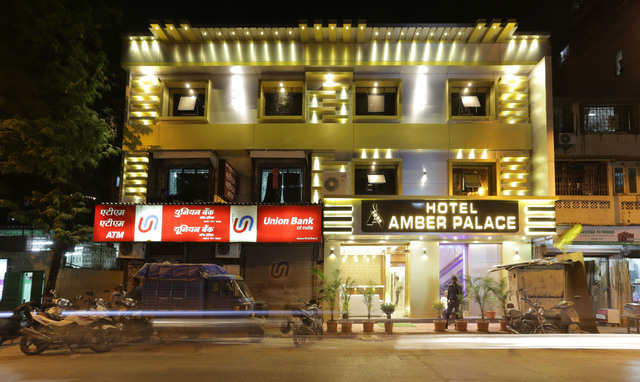 If you want to go local, try Chor Bazar, Bhendi Bazar and Manish Market. 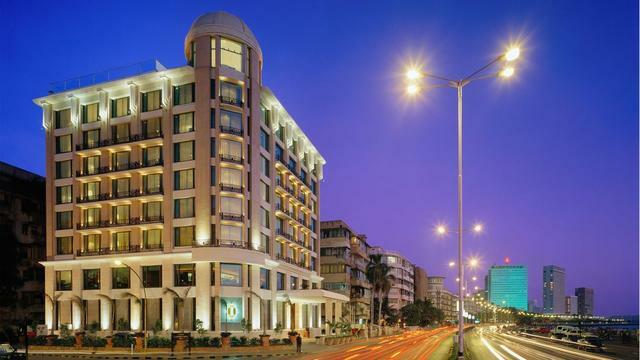 In the event of a medical emergency, JJ Hospital is just 550 metres from this hotel.